How many aerospace engineers does it take to keep a beer from spilling? 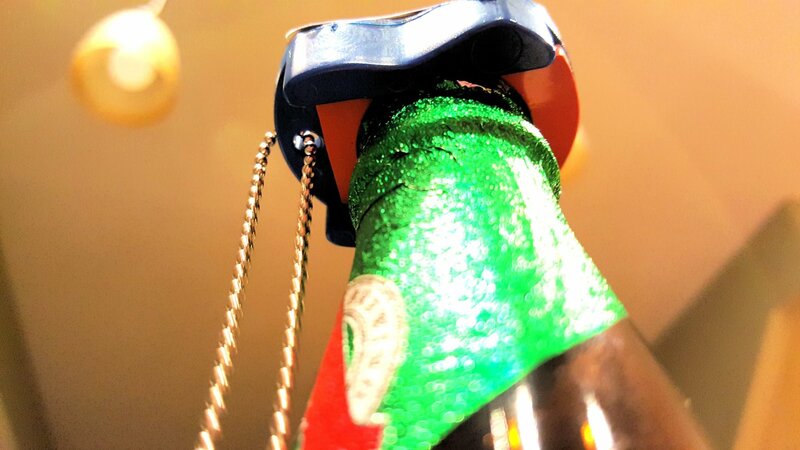 This question is answered by one microbrew-loving Ball Aerospace engineer, who took his frustrations with flat beer and developed a product that is saving countless beers with his product, Pop&Stop. Last June Hackel went work on his prototype using a 3D printer and used Kickstarter to gain the cash needed to create the gadget, collecting three times what he originally intended for Pop&Stop. The product, Hackel says, is not just about keeping bombers fresh in between tastings, but it’s also a barrier from spilling at barbecues, picnics, or parties, and it just makes drinking (or splitting) beer a lot easier. Ensuring the seal is complete is key. Test Subject: Avery Brewing Co.’s Vanilla Bean Stout – this Botanicals & Barrels line stout was aged in bourbon barrels with three distinct whole vanilla beans varieties added. Day 1: I opened and stored the stout using the Pop&Stop bottle opener and stopper combo. I made sure the seal encircled the entire mouth of the bottle to ensure maximum surface area coverage, then I gingerly placed the precious bottle into my refrigerator. Diagram explaining how to use Pop&Stop bottle saver. Day 3: (Exactly 72 hours later). I opened bottle for first time since storing it. It released a loud fizzy pop sound when I opened the bottle and the beer poured out into a slight foamy head just like Day 1. I’m sure the carbonation was technically a bit less, but the difference was unnoticeable to my palate. Day 6: (Approximately 144 hours after first open). Opened bottle for the second time since storing it – some audible fizzing upon opening, but there was hardly any head at all, but the stout was not flat. In fact, I enjoyed this tasting the best out of the three because the sample had mellowed out and the vanilla flavor was much more prevalent than before. I also picked up on the more subtle flavors of molasses and chocolate, which I did not get at the previous two tastings. Pop&Stop is available at a handful of Boulder County locations. Conclusion: Flat beer is not appealing, unless the style is intended to be so (see: cask conditioned ales, or perhaps barleywine). 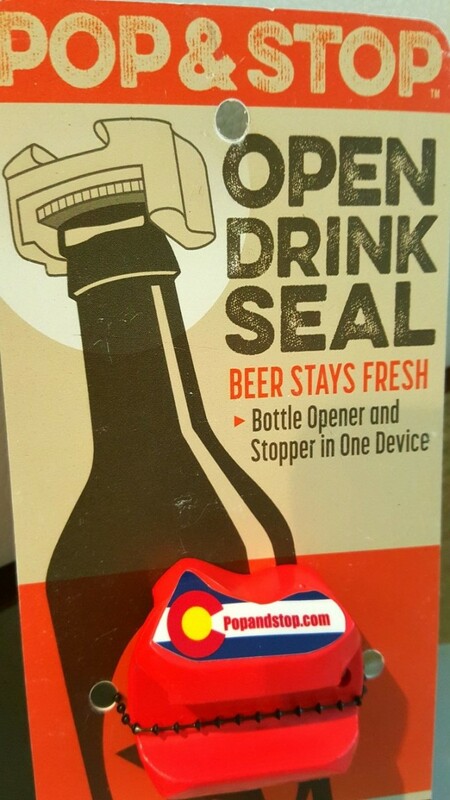 This opener/stopper combo works relatively easily and keeps beers fresh up to 72 hours. If fizzy is what you’re going for I would personally recommend not storing over 72 hours, although I hypothesize that the beer will keep even longer if you do not disturb the seal. For some styles, like barrel-aged stouts, sometimes flatter can be better. When bottles of the fancy stuff can cost upwards of $15 per bomber, go ahead and use it as many times as you wish, but know that it will be a bit less carbonated with each pour. Overall I would recommend this product, or any that lets me savor each sip of my precious stouts or expensive sour ales, rather than letting the suds go to waste. For this reason alone, Pop&Stop is a no-brainer. According to the CEO, Pop&Stop has been returned zero times with no mechanical failures. 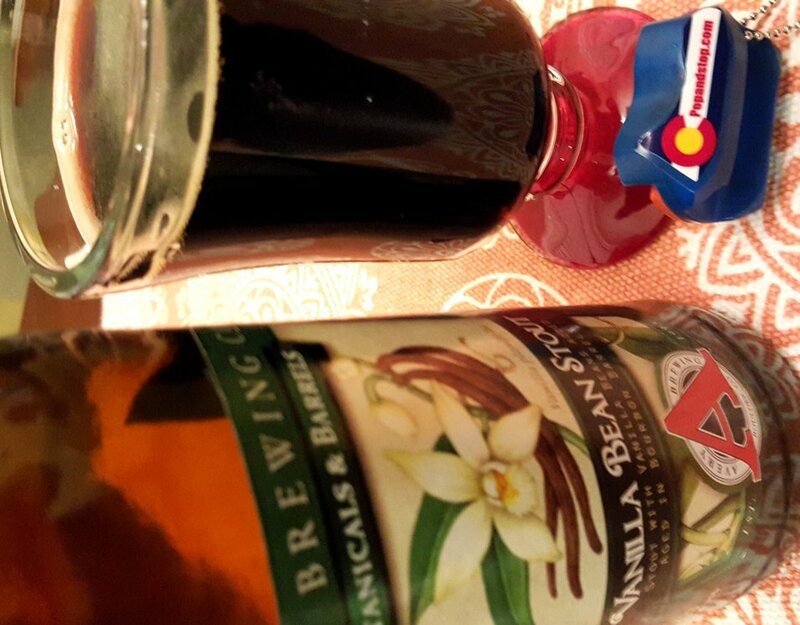 Pop&Stop can be purchased online at PopandStop.com and at a handful of retail places such as Peppercorn on Pearl Street and Wyatt Wet Goods in Longmont, as well as several other places including breweries, who love to partner the product with their bomber. Super interesting article! Nice analysis.